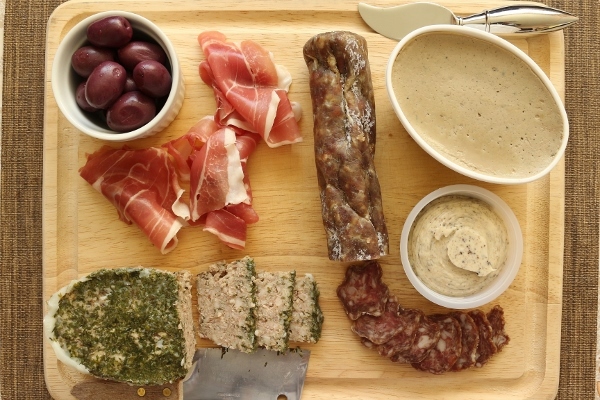 Mission: Food: D'Artagnan Feast & GIVEAWAY! I was first introduced to D'Artagnan, a specialty foods company based in New Jersey, when I was in culinary school at Johnson & Wales. 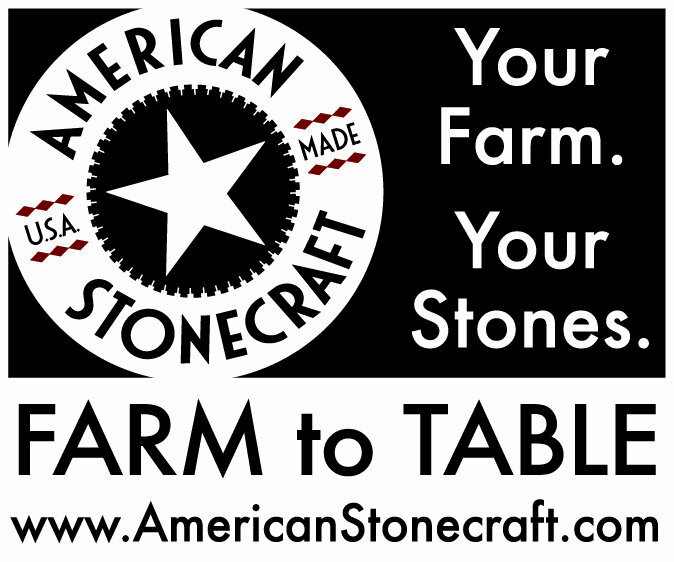 We procured some of our specialty items from this source, and its unforgettable name stuck in my memory for years. 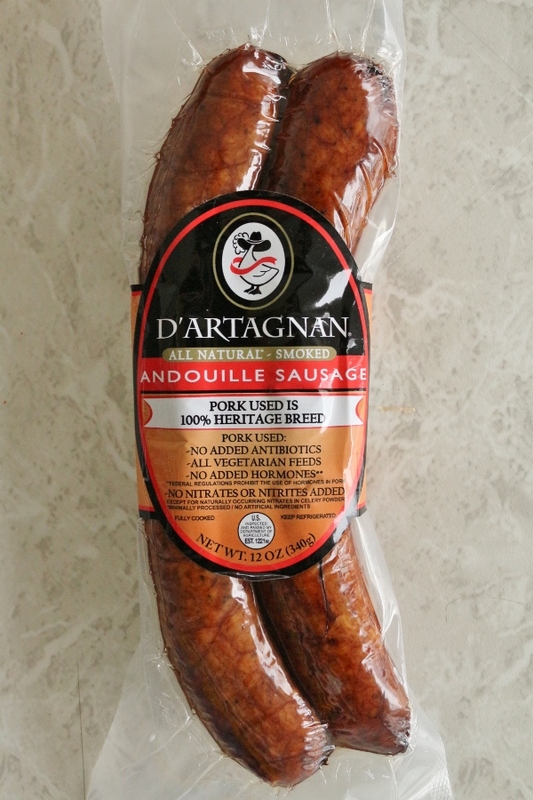 I've seen D'Artagnan products at local specialty food stores, and I have even ordered foodie gifts from them in the past. 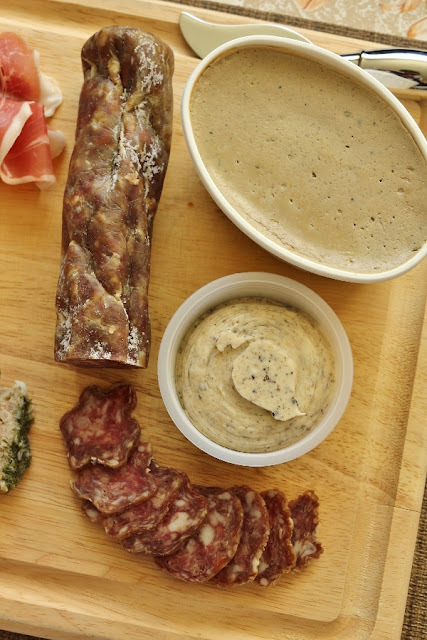 If you're looking for something special for your favorite gastronome, you'll find it at D'Artagnan. 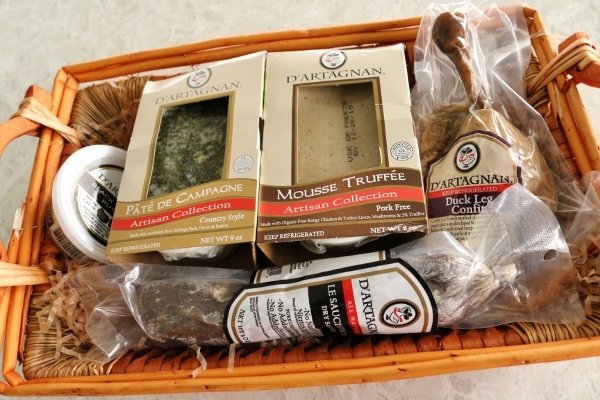 I recently had the opportunity to receive a selection of delectable D'Artagnan products in honor of their fabulous Holiday Giveaway. They will be selecting two winners (one on December 7th, and one on December 22nd) to each receive a $500 shopping spree at D'Artagnan. I highly encourage you to enter this giveaway using the Rafflecopter below. 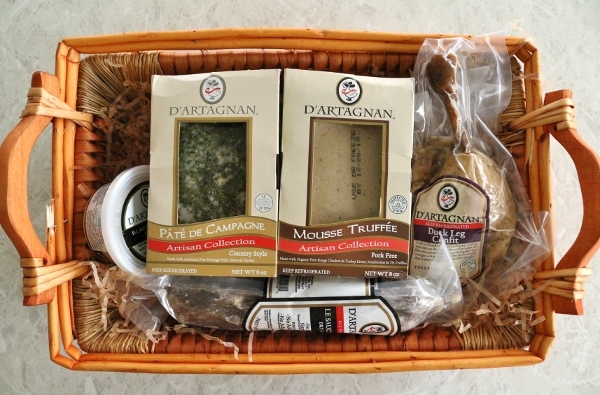 D'Artagnan sent me a bunch of their products to sample in advance of sharing this post. I actually got to select items to try from a lengthy list. 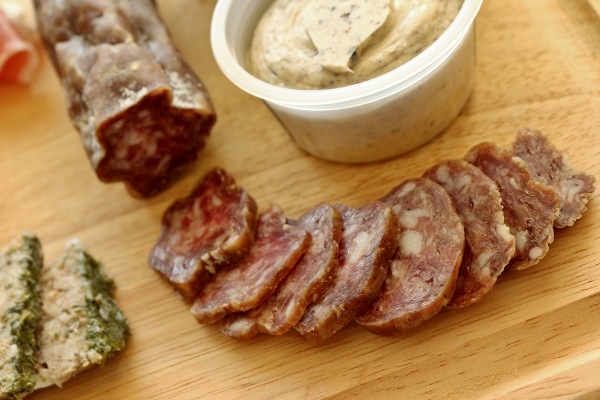 I narrowed on the Petite Charcuterie Gift Basket, the Andouille Sausage, and the Wild Boar Sausage. 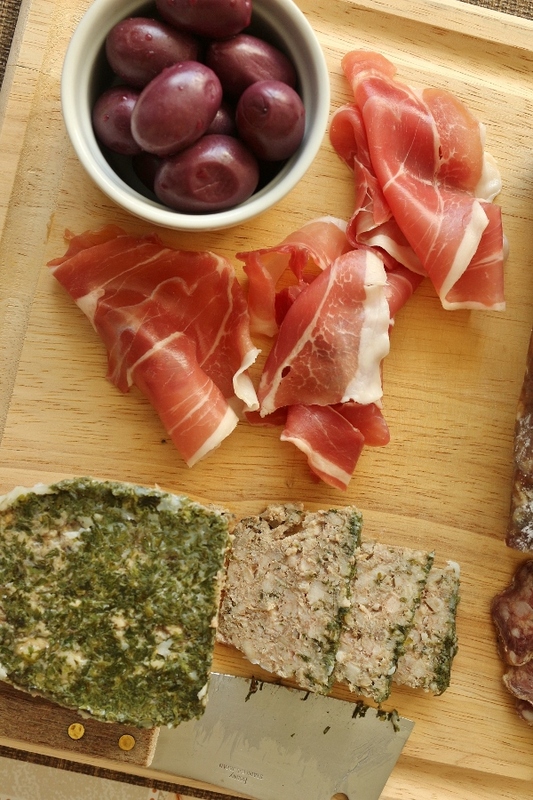 The Petite Charcuterie Gift Basket makes an incredible gift for any food-lover who appreciates good charcuterie. The set comes in an actual basket and includes two pâtés (one country-style made with pork and another smooth pâté with chicken and turkey livers and truffles), Jambon de Bayonne (a French-style prosciutto), Artisanal Sausisson Sec (dry sausage), duck leg confit, and black truffle butter. 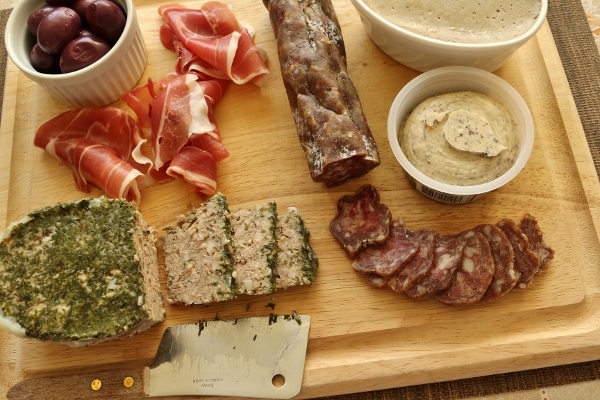 These are the makings of an incredible charcuterie platter. I utilized everything in the basket with the exception of the duck confit, which I froze to use at a later time. 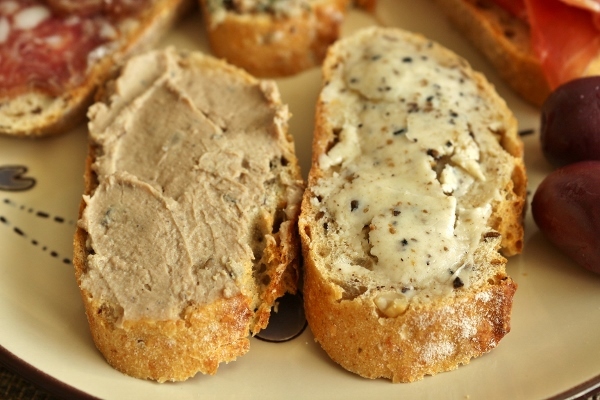 My favorite items are the sausisson sec, the truffle butter, and the truffled pâté (mousse tuffée). Each is unique, and yet stands equally on my own personal pedestal of deliciousness. 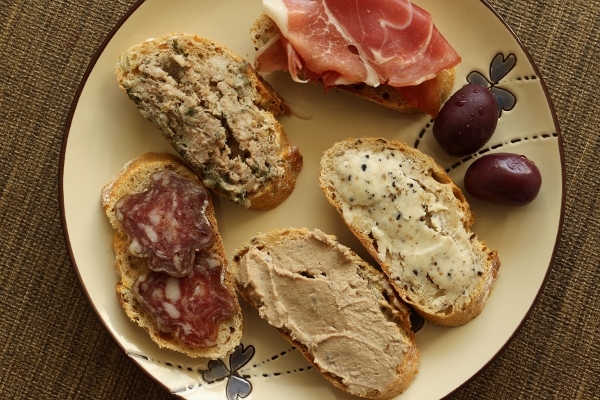 There is more than enough food here to entertain guests (especially the two pâtés which are very generous portions), or even to just enjoy an intimate meal/snack with a glass of wine, and save some for the next few days of sampling. 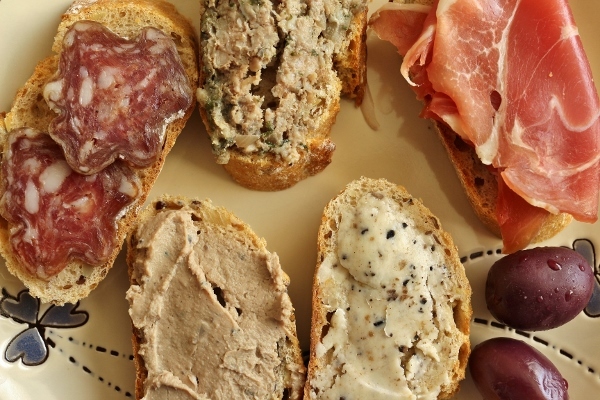 Just keep in mind the pâtés in particular won't keep very long once they've been opened. I actually took my leftover chicken/turkey liver pâté and transferred it to small ramekins, topped them with melted butter, wrapped in saran wrap and froze them to enjoy in the coming weeks. The butter will seal them from spoiling too quickly. In additional to my glorious gift basket, I received the two sausages I mentioned above. 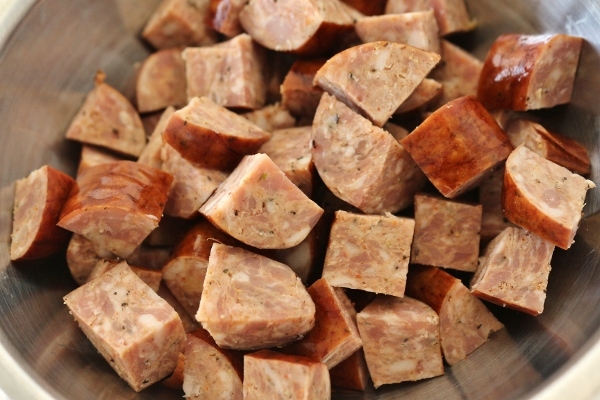 Andouille sausage is a Cajun-style smoked sausage, and the perfect addition to dishes like jambalaya and gumbo. I recently reviewed John Besh's new cookbook Besh Big Easy, and was really anxious to try more of his mouthwatering recipes. 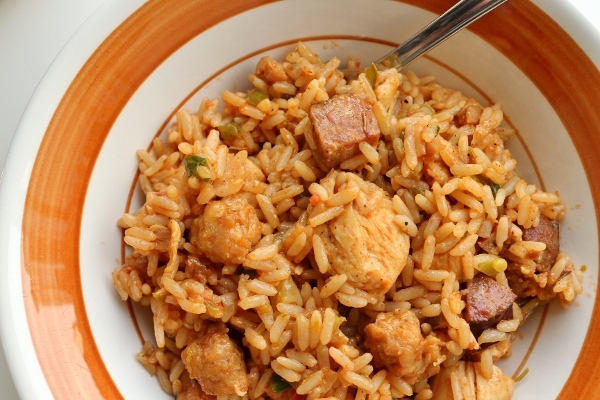 I used my D'Artagnan Andouille sausage as a key ingredient in Besh's chicken and Andouille jambalaya. The jambalaya was fantastic, and the Andouille certainly added the perfect note of spice to this traditional Louisiana rice dish. I plan to share this recipe in the coming weeks so stay tuned! 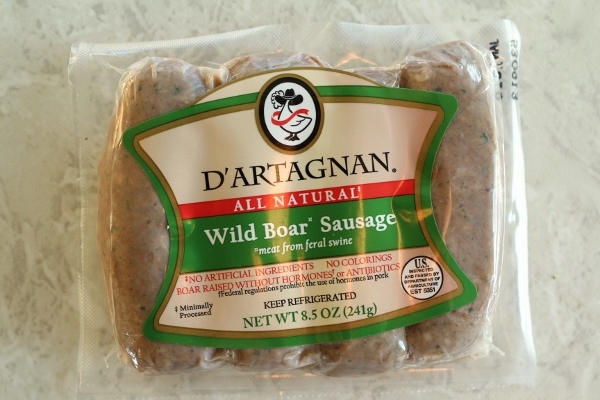 I haven't had a chance yet to cook up my fresh wild boar sausage, but am planning to most likely turn it into a wild boar sausage ragu for pasta or gnocchi. I can't wait. Something in particular I really love about D'Artagnan is that they really use the best quality ingredients around. 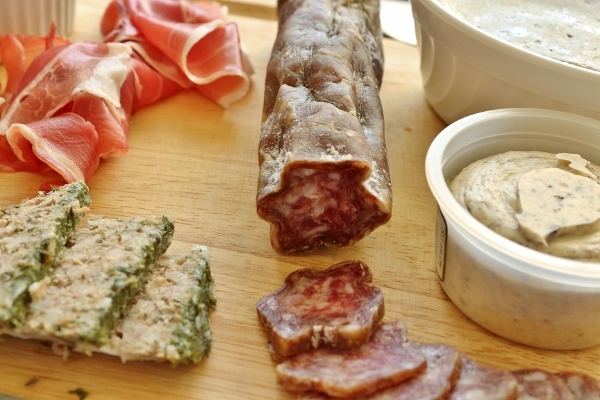 The pork products are made with heritage pork. 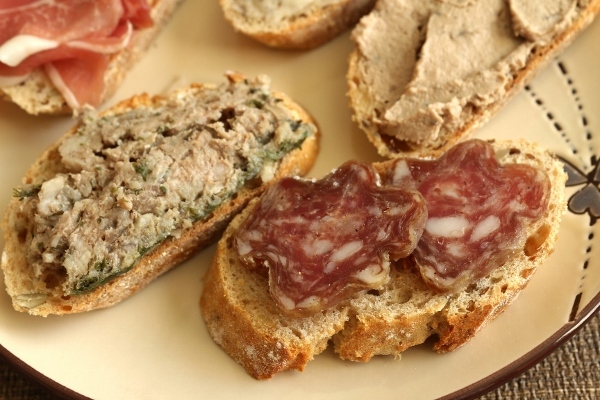 The meats are free of antibiotics and hormones. Everything is natural and the absolute highest grade it can be. It's well worth the money, and anyone who appreciates good food will be able to tell the difference. Please check out D'Artagnan's website to discover more of the fantastic specialty foods and gifts they sell, and don't forget to enter for one of two chances to win their $500 holiday giveaway. *Disclaimer* I received no compensation to write this review other than free samples of D'Artagnan products. My opinions are always my own.